This is a question that seems to appear very frequently in many of the RV related groups on Facebook. So what is the difference? Surge Protectors will usually only protect you from power surges, and in some cases will identify reverse polarity or a miswired pedestal. 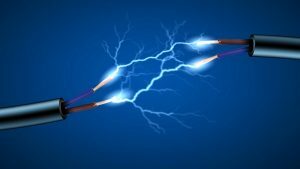 Sometimes, power surges are a result of a lightning strike or perhaps a tree limb coming into contact with a power line, and a surge protector will help in these instances. The surge protector should cut off power to your RV if this type of situation is encountered, and it may if the surge is significant, sacrifice itself to prevent the transfer into your RV. EMS, or Electrical Management Systems, monitor significantly more scenarios and are much more active in terms of what they do with power, hence the name “Management.” In addition to protecting against power surges, EMS will also protect your RV from high or low voltage (low voltage is very bad for your RV and can happen easily in crowded parks), reverse polarity, open ground and AC frequency problems. Most EMS systems are also equipped with a time delay feature. This means that when you plug your EMS in at the pedestal, it will run through its full set of diagnostics checking for all of the bad conditions before it actually lets power through to your RV. If you own an RV, you should be using a surge protector at a bare minimum, and ideally, an EMS system to keep your investment protected. Do you own a vintage, classic, or collectible vehicle? Or perhaps you just like maximizing your vehicle investment. If so, consider giving your vehicle a “blood test”. That is, let us draw fluid samples from the three most important systems of your vehicle. We will draw samples of your engine oil, transmission fluid, and engine coolant. These samples are then sent to our independent laboratory for analysis. What you will get in return is a detailed analysis report highlighting any real or potential problems. So why get fluids analyzed? First, you can extend the life of your vehicle. Regular fluid analysis (“blood tests”) have been shown to extend life by stopping wear before there is a major failure. If engine oil, transmission fluid, or engine coolants break down or have any contaminants they can start to increase the wear rate of gears, bushings, bearings and other components. Second, without performing fluid sampling, there is no way of knowing what is going on with your systems. If you don’t know if you have minor problems, it is just a matter of time before they become major problems that could result in a complete failure or equipment breakdown. Finally, a regular fluid analysis program can help you increase the resale value of that special vehicle, and who doesn’t like to increase the value of their investments? Showing a potential buyer a record/history of your fluid analysis reports lets that new owner know that you have taken meticulous care of your vehicle and warrants increased value. So let RVIS, LLC perform a “blood test” for your vehicle. We are currently running a holiday special through the end of the year where we will perform all three fluid tests for $150, regularly $59.95 each. Contact us via our website at www.rvinspectionservices.com or our Facebook page at http://www.facebook.com/rvinspectionservices to schedule your sampling. 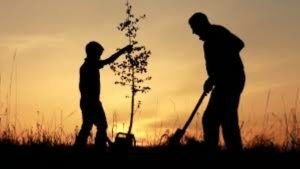 Are you nearing that wonderful time we call retirement? Are you thinking of enjoying some or all of that time traveling this great big country of ours in an RV? There are so many decisions to make and so many choices to help you make those decisions. Will you be traveling full-time or part-time? Will you be traveling in a motorhome (Class A, B, or C), 5th wheel, or travel trailer? Once you have decided on your mode of travel, let RVIS, LLC help you live that dream. We provide independent, 3rd party professional inspections of recreational vehicles. The last thing you want is a vehicle that will disrupt those plans and turn your dream into a nightmare. When you are ready for that inspection or just have a question, contact us at www.rvinspectionservices.com or our Facebook page Facebook.com/rvinspectionservices. Whether you are new to the RV lifestyle, or a seasoned RV owner, getting a brand new or new to you RV can be intimidating. Sometimes the systems, options, and gadgets can be overwhelming. RVIS, LLC can help. We can perform an RV Walkthrough with you, showing you all of the features at a pace that allows you to understand and ask the appropriate questions. Don’t understand how to make all of the connections at your campsite? We will show you how to hook up power, water, and waste systems. Confused about the difference between heating your water with gas or electric, the automatic transfer from electricity to propane on your refrigerator, or the operation of your slides or leveling jacks, we will walk you through the process in a way that you will understand and be comfortable. The walkthrough can be short and quick, covering the basics, or if you prefer, much more detailed and personalized for your RV. Contact RVIS, LLC if you would like to schedule a walkthrough of your RV. 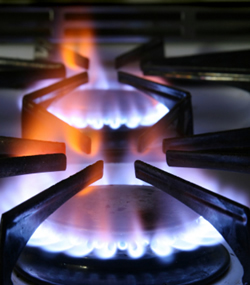 Does the thought of using your propane stove or oven scare you? 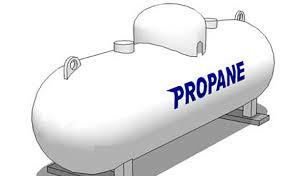 Are you fearful of having a gas fire or explosion in your RV as a result of a propane leak? Are you not sure whether you should drive with your refrigerator running on propane? All of these are concerns of the typical RV traveler. Generally, you need not be too concerned about any of these issues unless you actually smell the telltale odor of a propane leak, in which case you should immediately turn off all appliances using propane as well as closing the valve on your propane tank. Traveling with your refrigerator using propane is a topic of hot debate. Many insist it shouldn’t be done, while others claim that these systems were designed to operate that way. Best to follow whatever practice makes you the most comfortable. With a professional 3rd party inspection from RVIS, LLC, we will perform an LP system leak test to ensure your gas lines are not leaking propane gas. Knowing your gas lines are safe to use will allow you to take full advantage of all of the appliances in your RV. Contact RVIS, LLC if you would like to have your RV inspected. A professional inspection performed by RVIS, LLC can help you avoid a problem with the gas lines in your RV. You may ask yourself, “What does an inspector find during an inspection?” and “Do I need one?” It is quite an assortment and mix of the good and the bad. Sometimes we will find mouse droppings in some strange places, like under the stove top, and some not so strange places, like around the furnace area. We also see signs of water intrusion, from something as minor as a small stain under a window, to something as major as a soaked carpet at the time of inspection. There are also a fair share of appliances that don’t function as designed, awnings that don’t work properly, slides that don’t go in or out, and sealant that is missing. On the other side of the coin, we see beautiful new floors, furniture upgrades, sophisticated electronics, weather stations, and ingenious storage solutions. The bottom line is that we never know what we will find when we first see an RV we are about to inspect. But what is important for you to know is that we will look at your RV from top to bottom, front to back, and inside to outside. Contact RVIS, LLC if you would like to know what we will find in your RV. A professional inspection performed by RVIS, LLC can help you avoid a financial problem. Under what circumstances should you get an RV inspected? Unfortunately, many people think the only time you need to consider getting an RV inspected is when buying a used RV. While we agree that an inspection of a used RV is a good idea and could save you from purchasing nothing but problems, it is not the only scenario that warrants an RV Inspection. We regularly see comments in Facebook and other social media from people with nothing but problems on brand new RV’s. New does not equate to trouble-free. An independent RV inspector has no “skin in the game” and will give you an unbiased review of the RV in which you are investing your hard-earned money. If you are buying a new RV, consider making an inspection a pre-condition of the sale. Knowing about any problems in advance and before you finalize the sale provides you with additional options. A professional inspection performed by RVIS, LLC can help you avoid a financial problem. How much do you know about your tires? Do you know when they were manufactured? Do you know what size tires you have? Do you know the load and speed rating of your tires? Do you know what the tire pressure should be on all of your tires? Almost every answer to these questions is listed right on the tire. For example, the date of manufacture is shown right after the DOT markings, and is shown as a four digit number with the first two digits representing the week of the year, and the next two digits representing the year. Therefore, the number 3615 would mean the tires were manufactured during the 36th week of 2015. Tire pressure will be shown as recommended PSI cold, as “90 PSI Cold”. The load rating identifies the load carrying capacity, and typically is a value from 71 to 110. Each number represents a carrying weight capacity. A load rating of 87 equates to a load carrying capacity of 1201 pounds. The tire may also state specifically the load capacity in pounds, such as 4675. Charts explaining the codes are available on-line or from your tire dealer. The speed rating is similar with a code identifying the maximum speed at which the tires can be safely used. A speed rating of G equates to a 56 mph maximum. Again, specific charts can be found on the internet. If you answered no to one or more of the questions above, you should look at your tires and find the answers. Your tires are one of the primary features of your RV that keep you safe while traveling. Not knowing about your tires and how to check them could present a major problem for you. It could jeopardize that trip you are so looking forward to. It only takes a few minutes to check your tire pressure before you start traveling for the day. Check also for any bubbles, cracks, or crazes in the sidewalls. Those few minutes could save you from a blowout or other tire failure. When RVIS, LLC, performs an inspection, we inspect those tires and check all of the questions mentioned above. We want to make sure that when you take that RV out it will be safe for you and your family. Your RV is not like your house. When you buy a new or even an older home, there are many things you don’t have to worry about for a few years. Unless your roof is missing shingles or has holes in it, it usually does not leak. Windows on your home are normally well-sealed and watertight. The water heater, furnace, and air conditioner in your home will provide many years of trouble-free service. In most cases, your home must conform to many building codes and standards of construction that provide a level of comfort. However, your home does not roll down the highway at 55+ miles per hour, hitting potholes, and getting slightly twisted and turned just by using it as intended. Nor is your RV built with rigid standards of construction or strict building codes. It is no wonder then, that many RV owners are faced with leaks in the roof, windows, and walls or with appliances that either aren’t working at all or work inefficiently. If you are considering the purchase of an RV, new (yes, new RV’s have problems) or used, consider a professional inspection. If you already have an RV, but haven’t checked or don’t know how to check, consider a professional inspection. Checking your RV roof, windows, and appliances are just some of the things we look at in our inspections.